'Part of Jane's artistic genius is her ability to select a moment with which all of us can relate to in our lives. These recognizable moments skip over generations, each generation finding recognition with it. The scene is timeless in the human experience and each takes us to that moment causing us to reflect and evaluate the importance of love, relationship and achievement. "My work is a cumulative process made of my life experiences & my desire to sculpt the human form. Each piece tells a story of how it was created -with every stroke supporting the narrative." ​DeDecker began her artistic training as a painter at the University of Northern Colorado, until a professor, noticing her joy in the portrayal of shapes and forms, suggested she try her hand at sculpture. Taking his advice, DeDecker went on to study at Gobelins School of Tapestry in Paris, and in returning to Colorado, spent five years as master craftsman to the notable bronze sculptor George Lundeen. She has also worked with sculptors’ Fritz White, Danny Ostermiller and Kent Ulberg. Terry Kelsey, Forrest Hart and Glenna Goodacre. A member of the National Sculptors’ Guild (1994) and National Sculpture Society (1998), in 2007, she became a Fellow of the National Sculpture Society, New York, NY. DeDecker has gone on to receive copious awards, such as the Critics’ Choice Award from the Kimball Art Museum, Fort Worth, TX. 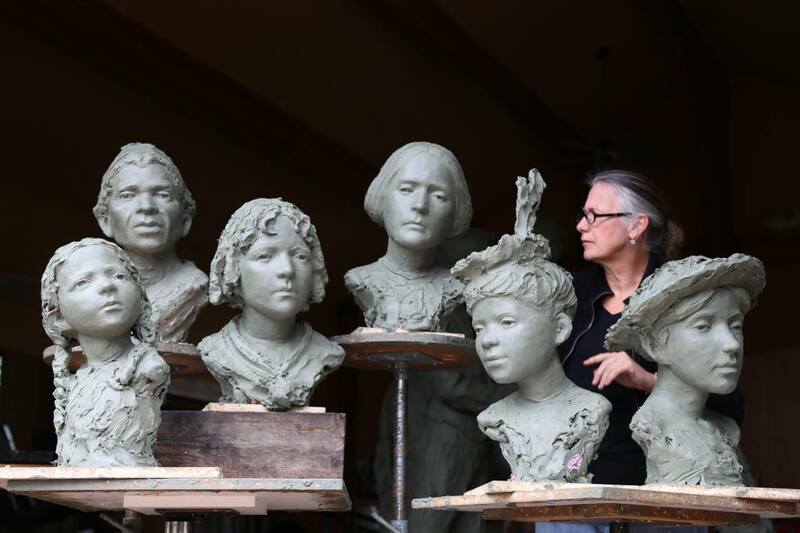 Jane DeDecker has been making a major contribution to the world sculpture scene since 1986. Creating over 300 limited-edition original sculptures. She has been published in magazines reaching global circulations, from Art and Antiques to European Home and Gardens. She has been sought out for her artistic integrity by organizations ranging from the National Parks Service to the President of the United States.